LOS ANGELES Hardwood Floor refinishing Contractor. Los Angeles wood Floors Installation and refinishing. Licensed Insured. Hardwood Floor Refinishing Repairs Commercial Industrial Residential. Hardwood Flooring Companies Reviews and referrals. Los Angeles, Santa Monica, Pasadena, Sherman Oaks, Hollywood, Beverly Hills, Calabasas, BURBANK, CA. Add glamorous looks to your home for less! With over three decades of experience and skills in the hardwood flooring market, Prime Hardwood Floors is now installing luxury vinyl flooring. Expertly knowledgeable in helping you choose the right solution for your floor renovation to fit your home style and your lifestyle. Do you want the hardwood look without the cost and upkeep? Luxury vinyl planks are exactly what you need! Luxury vinyl planks are a cost effective way to get the hardwood look without breaking the bank. They are great in all areas of the home, but especially in kitchens, bathrooms, laundry rooms, and entryways, because they are water resistant and extremely durable. These floors will stand up to high wear and tear from kids and pets, and can easily be cleaned without the worry of water damage. Luxury Vinyl Planks floor tiles are available in many stylish designs and colors. These designs include wooden look floor tiles which are extremely sophisticated. What is luxury vinyl plank flooring? Do you need Vinyl Floor Installation in Los Angeles or surrounding areas? Vinyl will require an extremely smooth surface since any flaws and imperfections could easily show through in the form of bumps and indentations on your flooring therefore a professional installation is required. You can feel confident calling our top-rated company about vinyl floor installation or any other flooring service. You will get a 100% FREE Estimate. Our master specialists will treat you and your property with the respect and attention to safety and comfort you deserve. 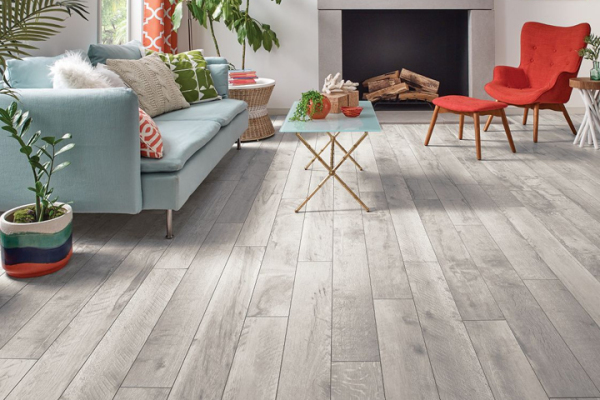 Vinyl plank flooring is designed in such a way that it gives the look of hardwood flooring to your home. The best part is that you will get the similar look but at a lesser price. Now you would definitely be aware of the prices of hardwood flooring and if you cannot afford it but want your floor to look like it then plank vinyl flooring is the right choice for you. Vinyl plank flooring also gives you with stain resistant quality and also great level of durability as compared to that with traditional planks. The most noticeable benefit of a vinyl floor is its price. Much less expensive than other type of floors. A Vinyl floor can last for a long time and endure abuse. It can be found in a wide array of colors, patterns, and styles. Vinyl floors are very resistant to water and make an excellent choice for kitchens, bathrooms and laundry rooms. They are extremely easy to clean and are nearly maintenance free. Vinyl flooring can also handle high traffic without significant wear and tear; this makes them a great option for kitchens, restaurants, schools and households with pets. © 2016 Prime Custom Hardwood Floors.